After days of anticipation, Nicki Minaj’s boyfriend Meek Mill finally released his Drake diss song, “Wanna Know,” on Thursday night. He could’ve used several more days to tinker with it. 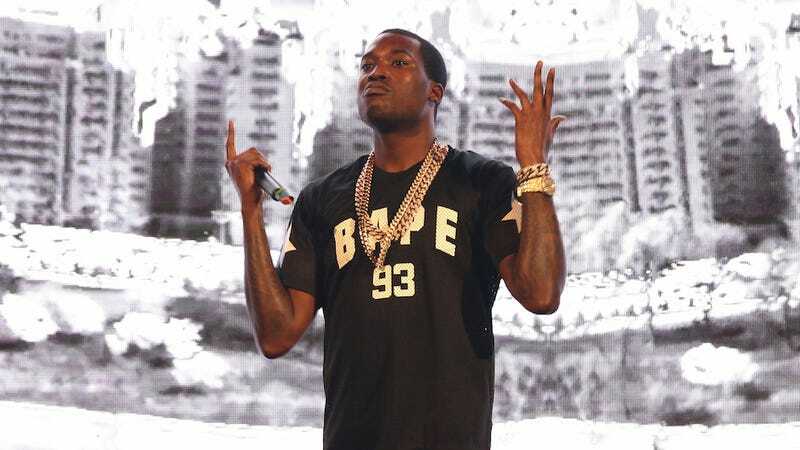 To recap the events here, Drake gave us two Meek Mill diss tracks within days of each other—the mildly effective yawn fest “Charged Up” and the much more damaging “Back to Back,” in which Drake pricks away at Meek’s ego with lines like, “Is that a world tour, or your girl’s tour?” This is of course in reference to Meek’s cameos in his woman Nicki Minaj’s Pinkprint Tour. And oh god, they’re fighting because Drake failed to tweet about Meek’s album. DJ Funk Flex premiered Meek Mill’s “Wanna Know” on New York’s Hot 97 and, well, the song has been heretofore rejected on account of mediocrity. Of note: “Wanna Know” has snippets of an alleged reference track that features Drake’s alleged ghostwriter Quentin Miller singing the hook to Drake’s “Know Yourself.” This would matter a lot more if people cared a lick anymore about rappers using ghostwriters, especially for hooks, which are known to be a collaborative effort. The song is all over the place, but it does feature some wonderful well-placed adlibs from adlib king Sean Puffy Combs. There’s also a mysterious line at the end about Drake or someone being peed on in a movie theater. Please elaborate on this, Meek? Yes, that artwork is Drake as Milli Vanilli. Drake’s response to this song is a hearty chuckle. A word of advice to Meek for his next Drake diss (because this will likely go on since Drake’s OVO Fest is this weekend). Drake’s main leverage here is your loving relationship with Nicki Minaj, a woman who’s much more powerful than you, which for ridiculous reasons is seen as a weakness. How about responding with a bunch of tough pro-feminist raps about not being threatened by Nicki’s infinite greatness and rap about wage equality, etc. etc. You should really mean it, though. Break down to Drake why he might benefit from finding real love in his life. Cite some of Drake’s past lyrics about meaningless hookups and maybe include the fact that Rihanna had Drake eating out her palms and probably everything else. As disappointing as Meek’s diss effort was, the resulting social media reactions were well worth it.